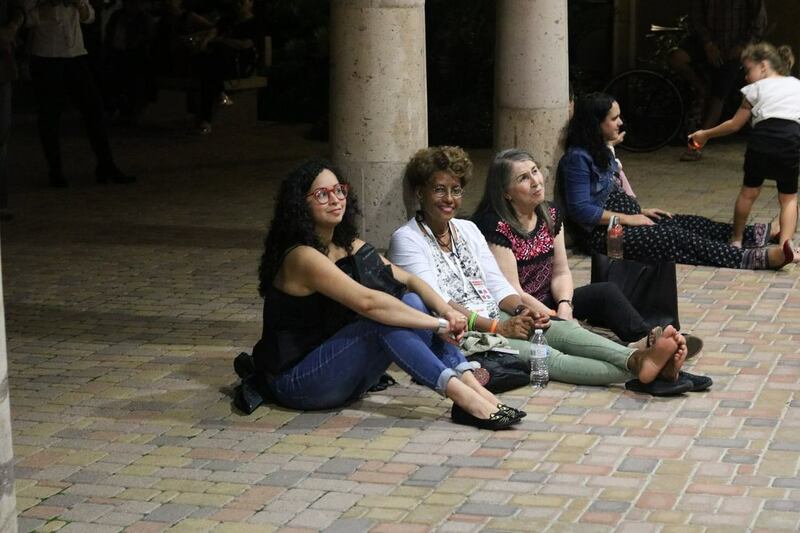 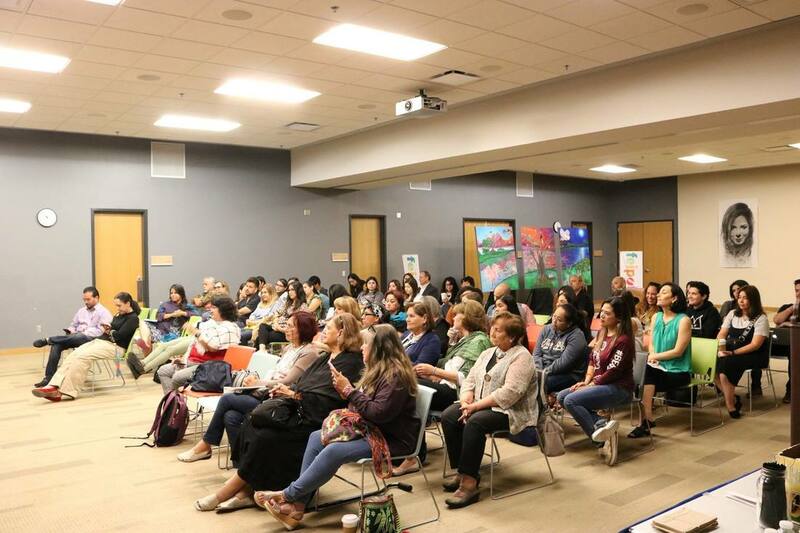 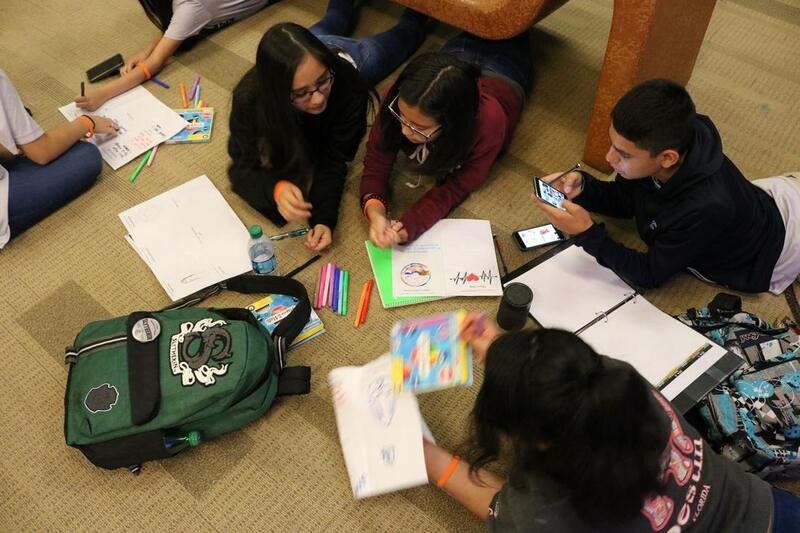 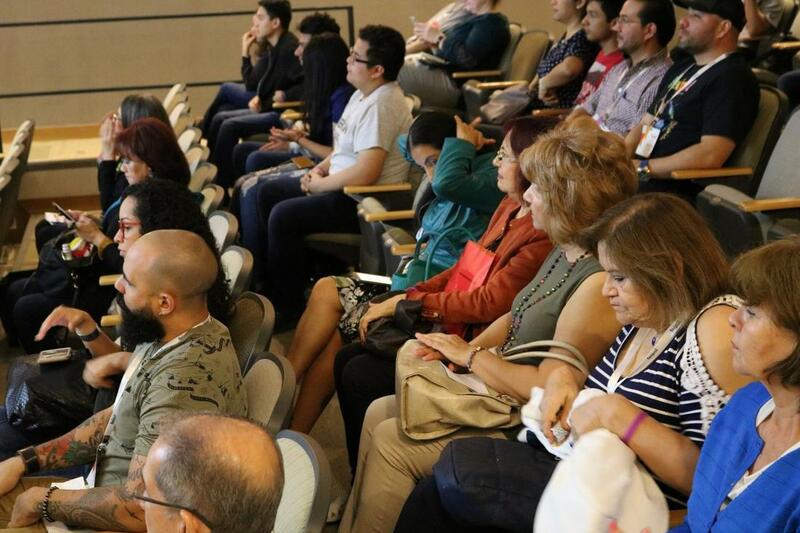 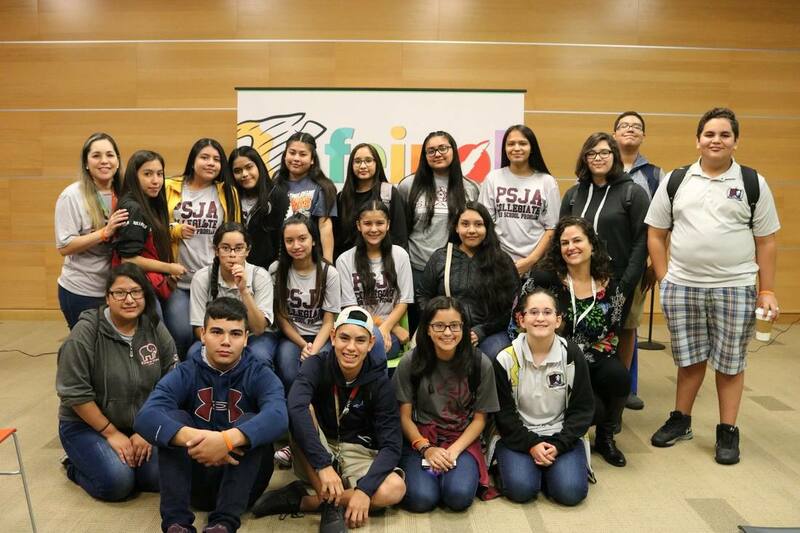 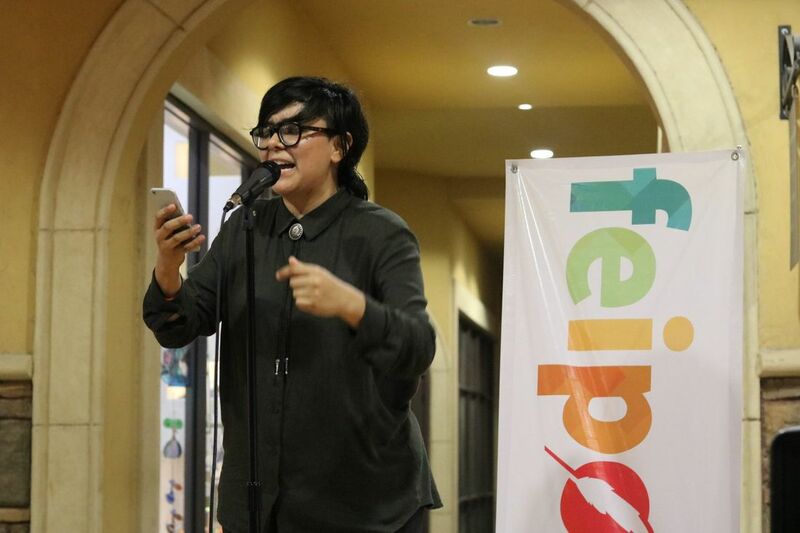 A spectacular, one of a kind, three day poetry festival in McAllen, Texas united 32 poets, 5 honored poets and 3 special guests from Mexico, Colombia, Puerto Rico, the Dominican Republic, Chile, Venezuela, Uruguay, Ecuador, and many cities from around the U.S. 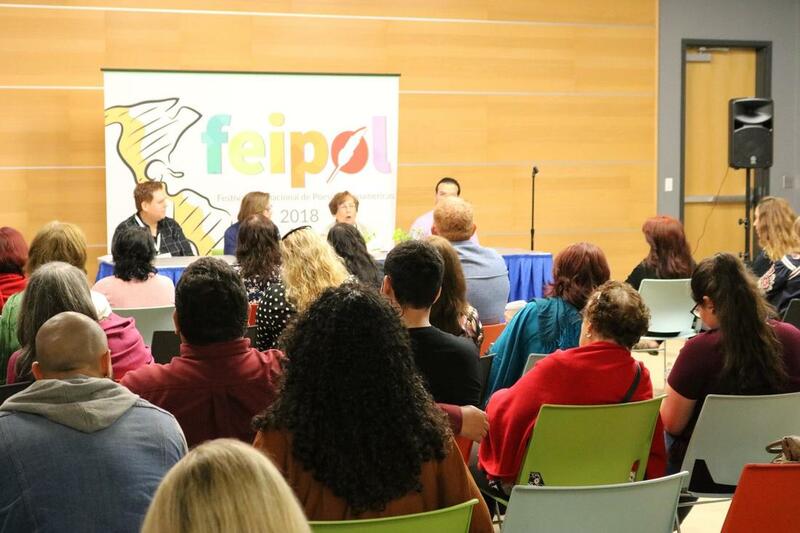 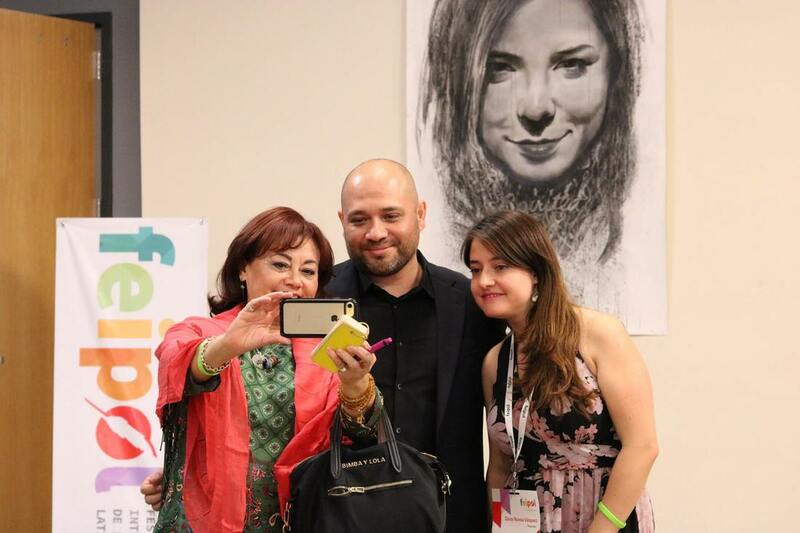 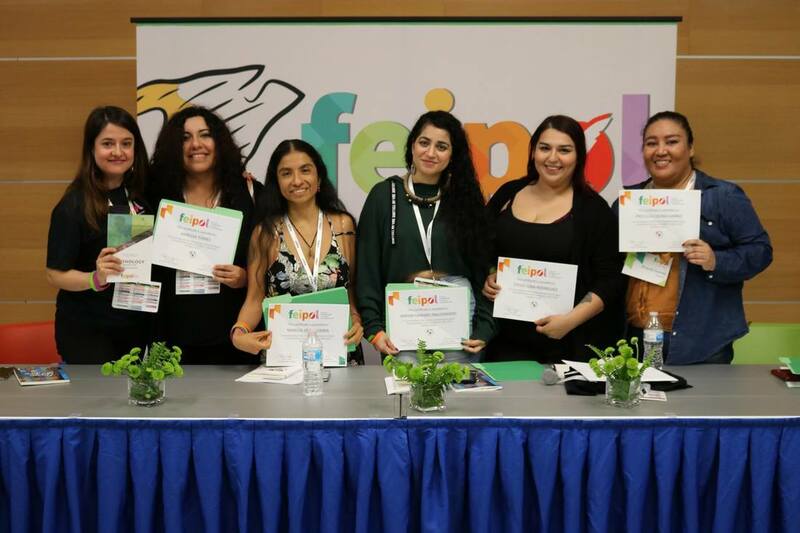 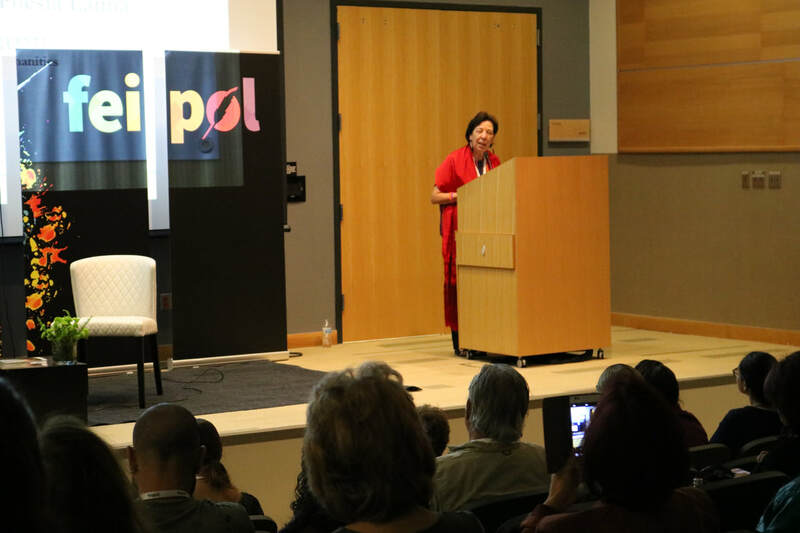 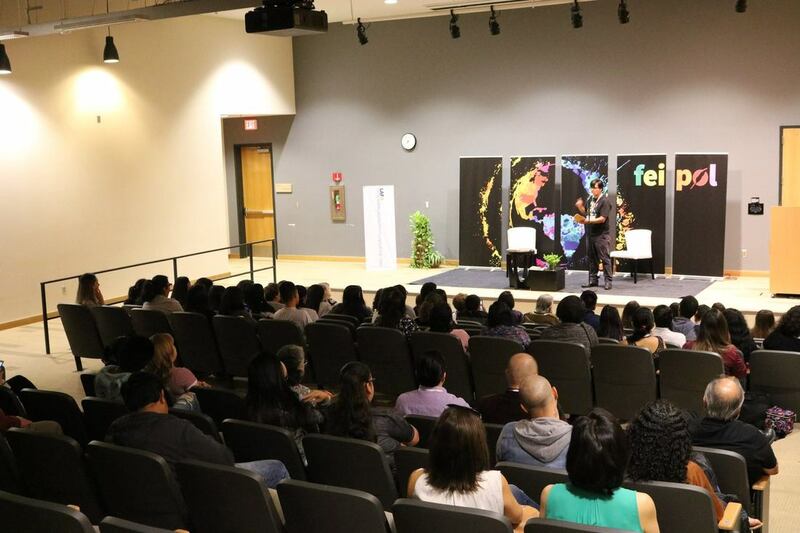 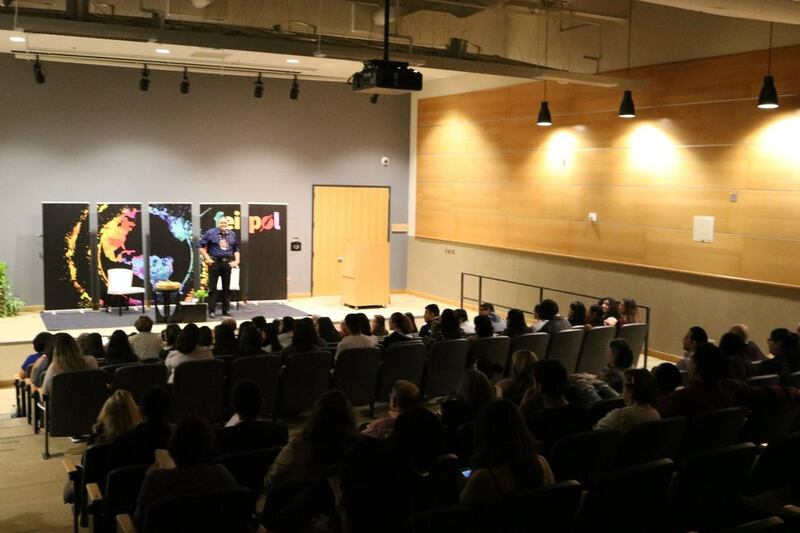 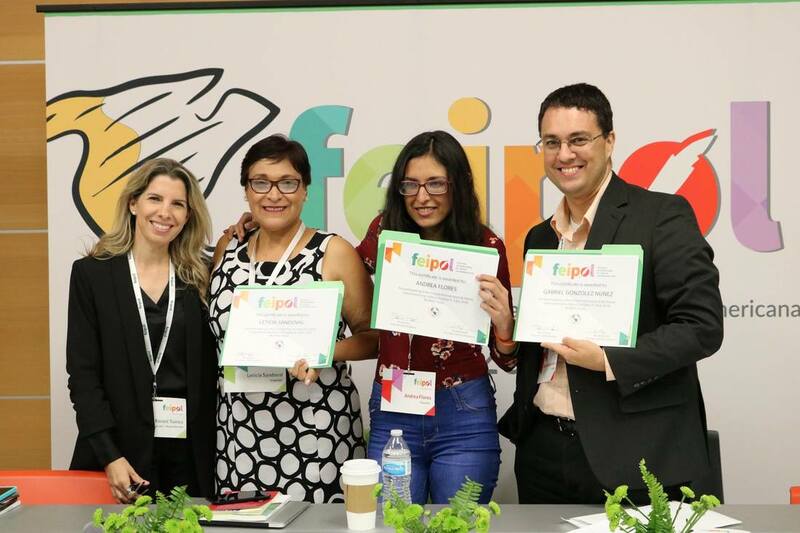 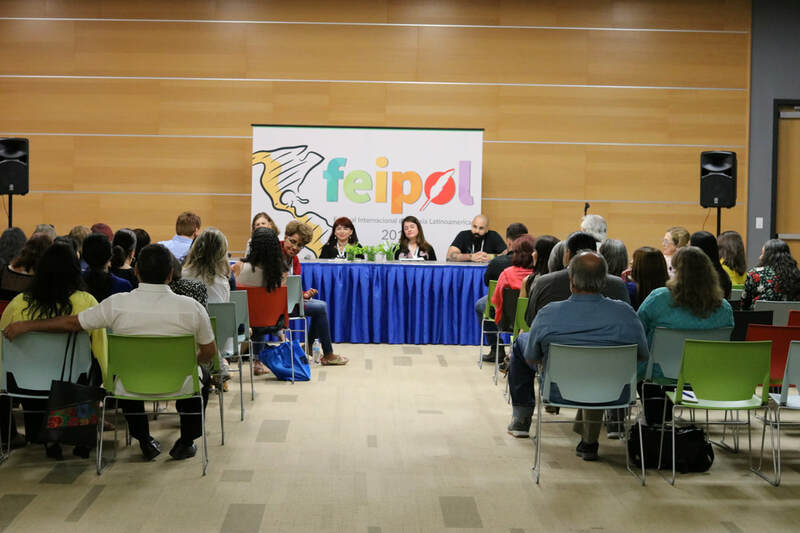 The Festival Internacional de Poesía Latinoamericana (FEIPOL) 2018 commenced on Thursday, October 4th with a presentation by special guests Mónica González Martínez (Community Organizer), Luis Corpus (Artist), and Leonardo Nin (Author), who spoke about the need to exercise a positive change within our communities, being socially active, empathizing with those in need and getting out to vote. 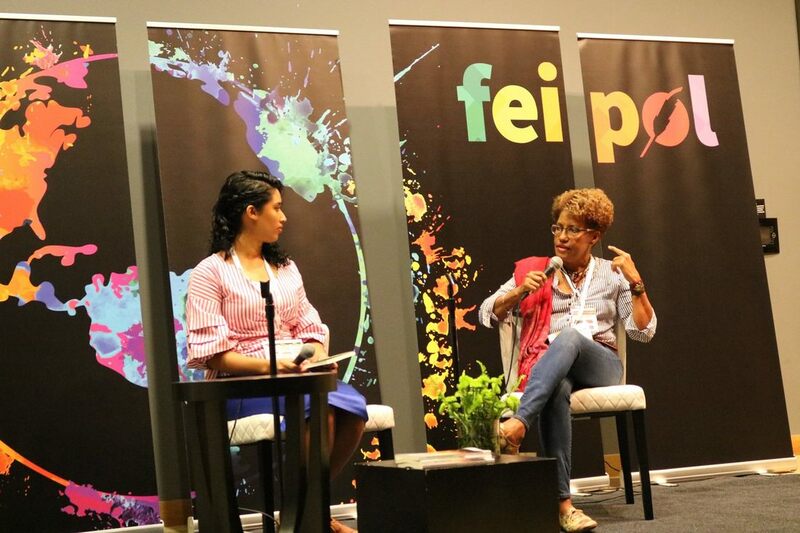 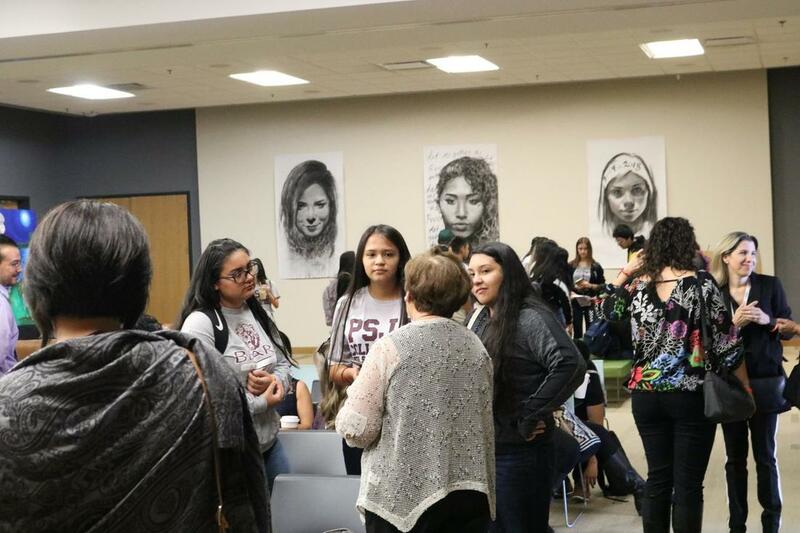 It was followed by a presentation by the honored poet Maria Palitachi, a workshop for high school students by special guest Leonardo Nin and several poetry panels. 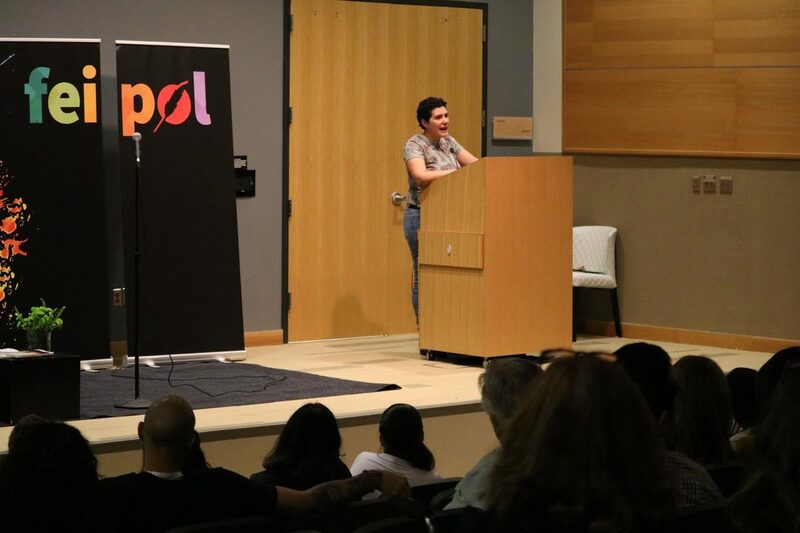 The day concluded with a presentation by the honored poet Raquel Salas Rivera who currently serves as the Philadelphia Poet Laureate 2018-2019. 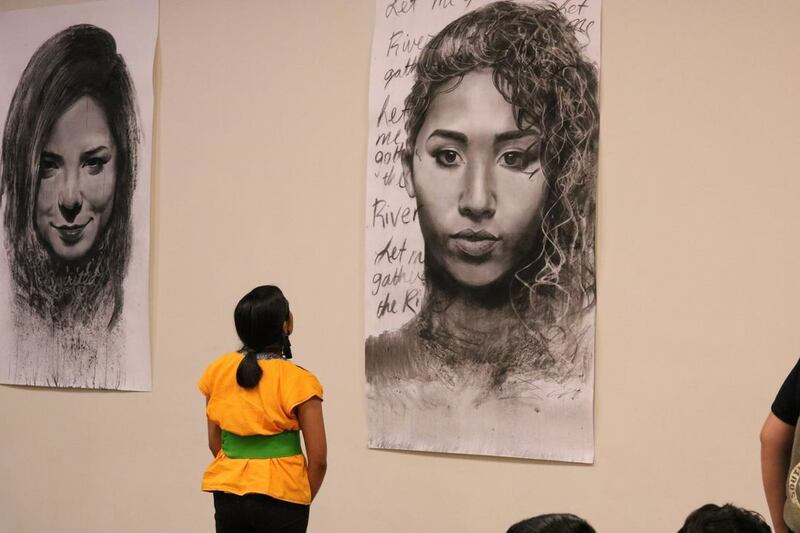 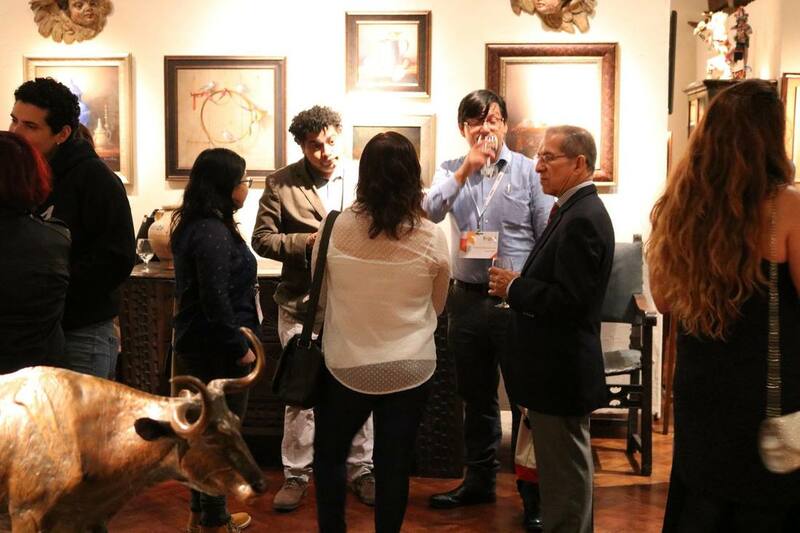 The presentations and activities were followed by an evening reception at the Santander Art Gallery where the organizers, artists and poets socialized throughout the night. 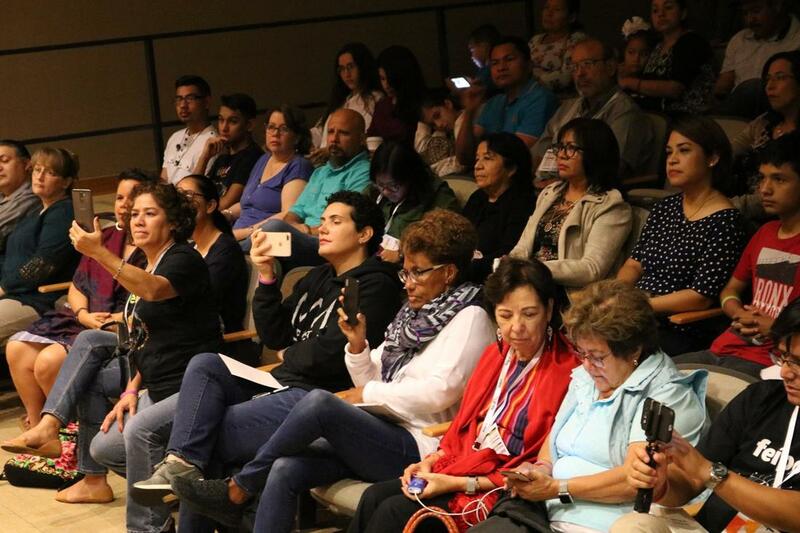 The second day began with a presentation by the honored poet Juan Manuel Pérez who captivated his audience with his poetry as he incorporated a drum, a rattle and his singing. 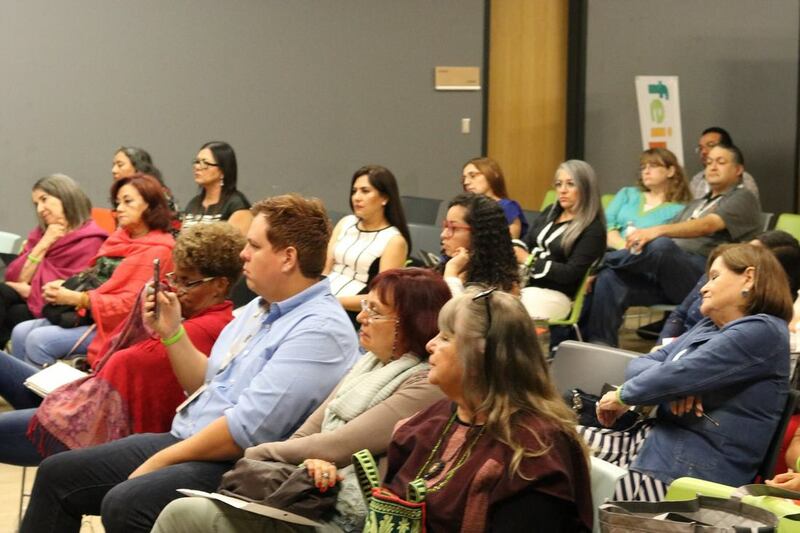 Throughout his presentation he spoke about his indigenous ancestry as well as border politics and the Chupacabra. 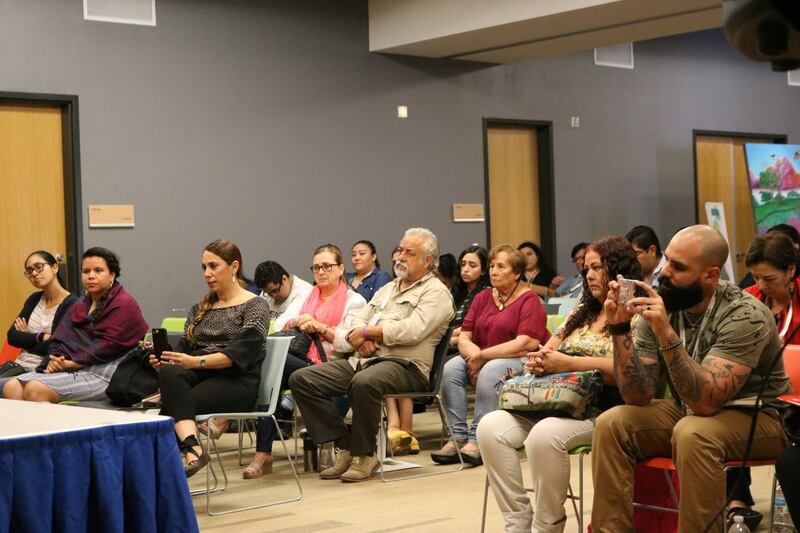 This was followed by a presentation by the honored poet Carlos Aguasaco who read his poetry to an attentive audience and made them laugh with his stories and explanations of how poets view the world. 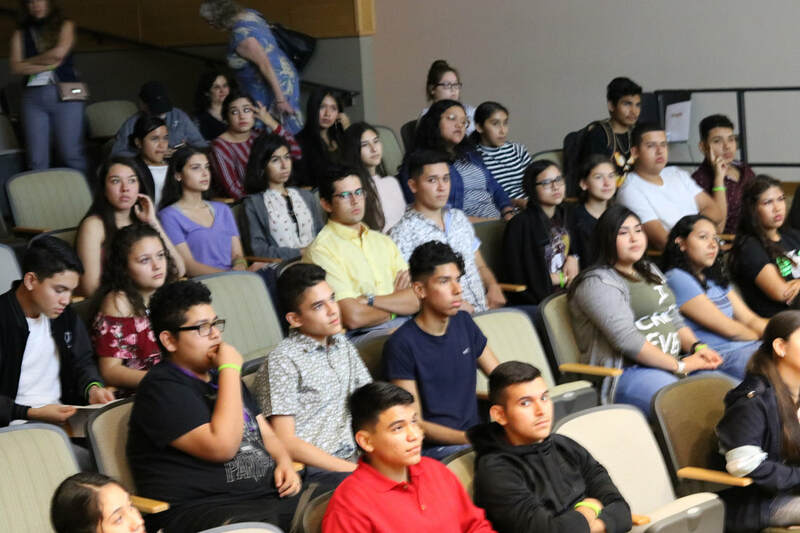 The day continued with Theo Rigby's documentary 'Waking Dream' which addressed the issues and people being affected by today's immigration policies, specifically DACA recipients. 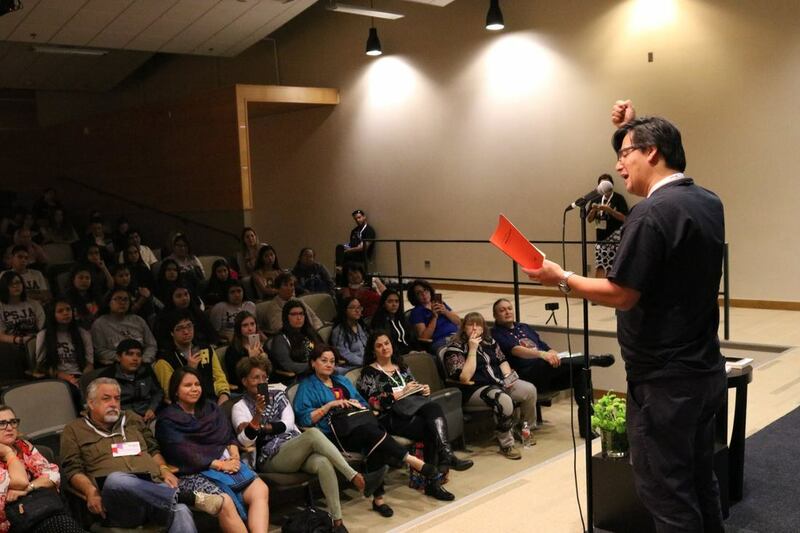 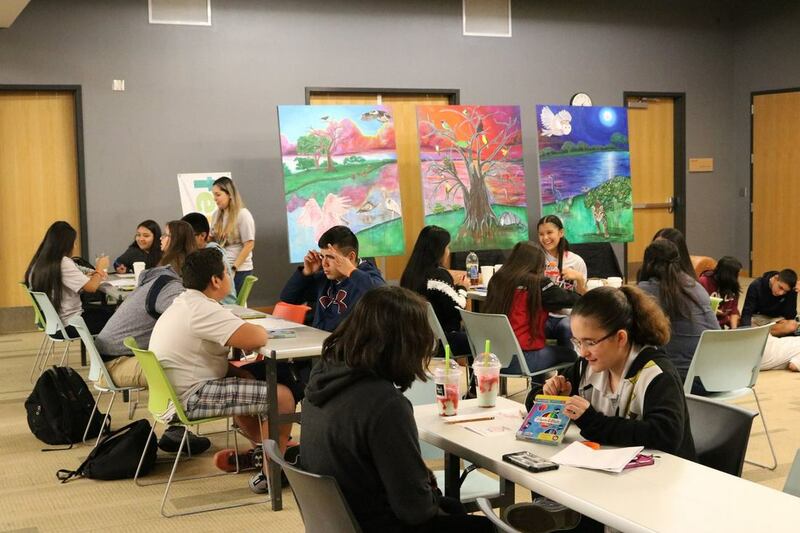 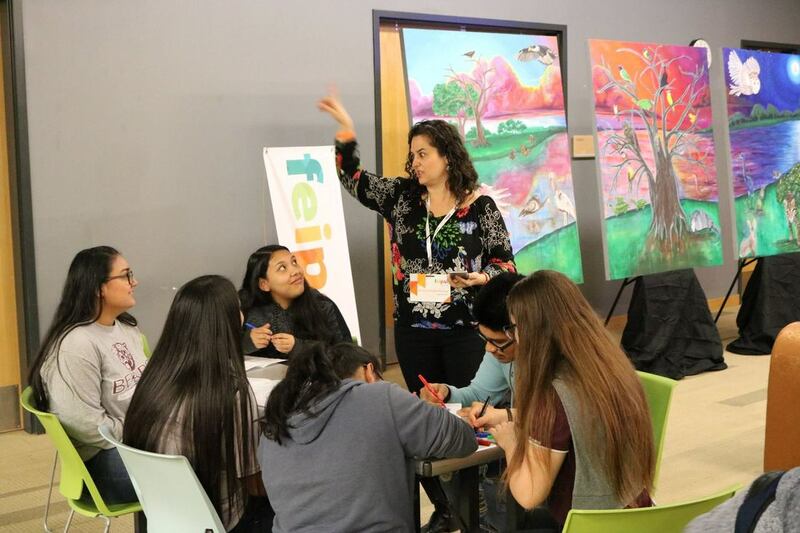 There were another four poetry panels, a literary workshop by special guest Leonardo Nin, and a heartwarming high school workshop by special guest Mónica González Martínez. 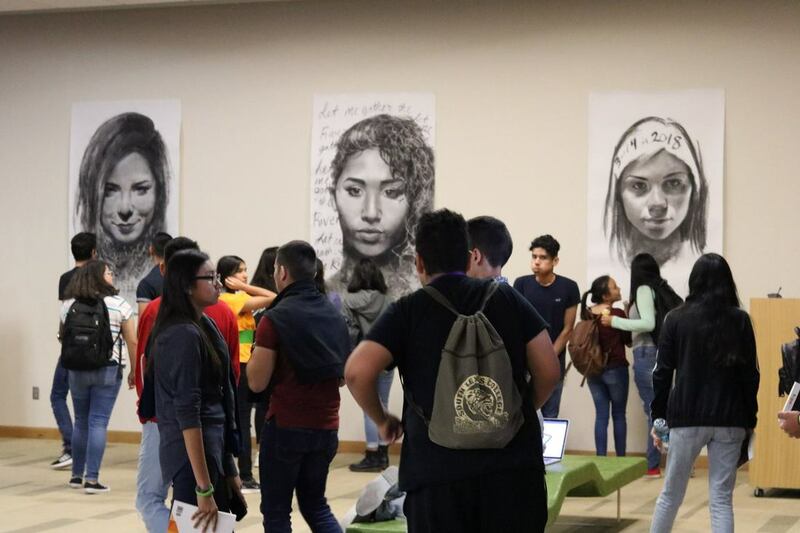 The students learned about the youth in Monterrey, Mexico and connected with them through personalized videos and writing. 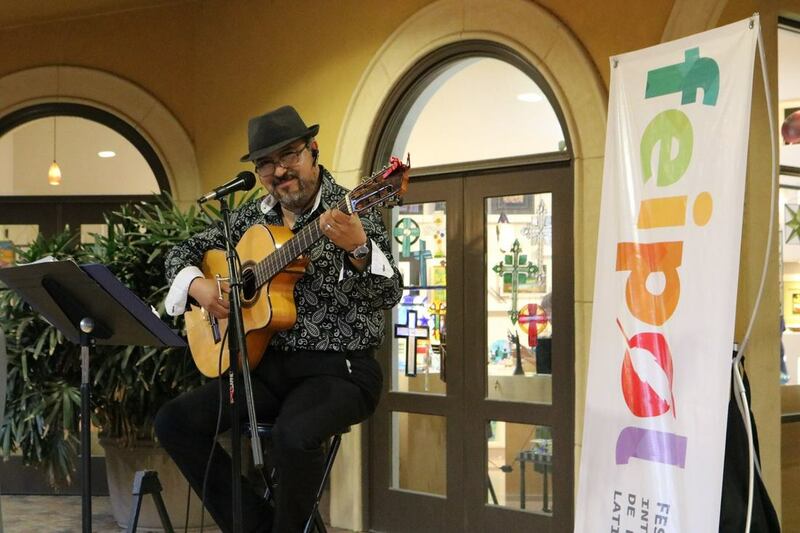 After the activities during the day, the festival continued at the McAllen Art Village where Frank Rocha played Latin American music. 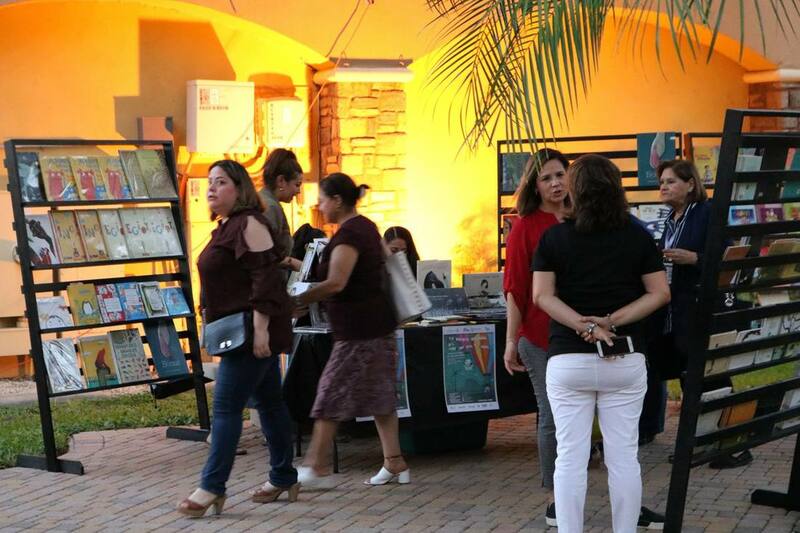 Besides the music, there were books, an open mic and much more. 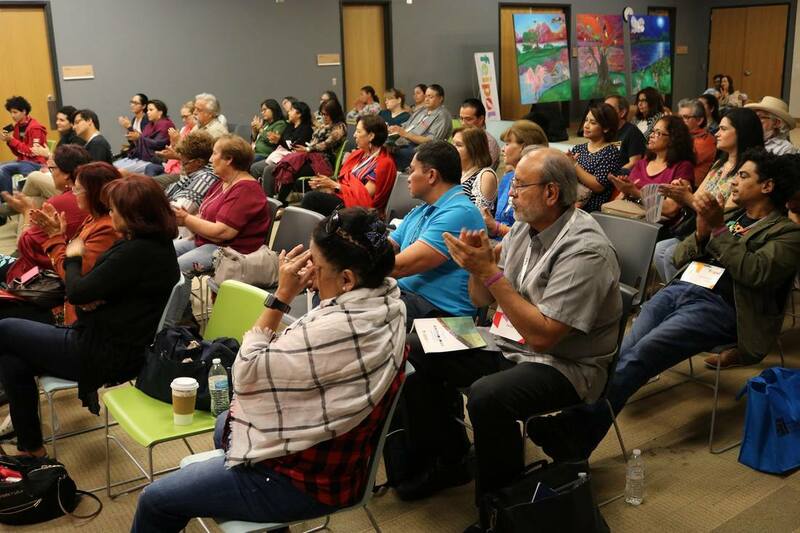 The third day included three more poetry panels and a presentation by the honored poet Norma Elia Cantú who read poetry and spoke about her family's history in Texas. 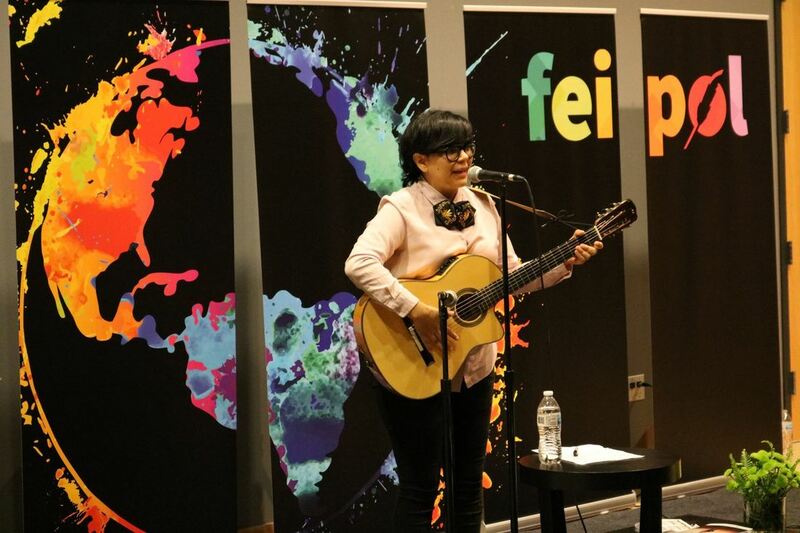 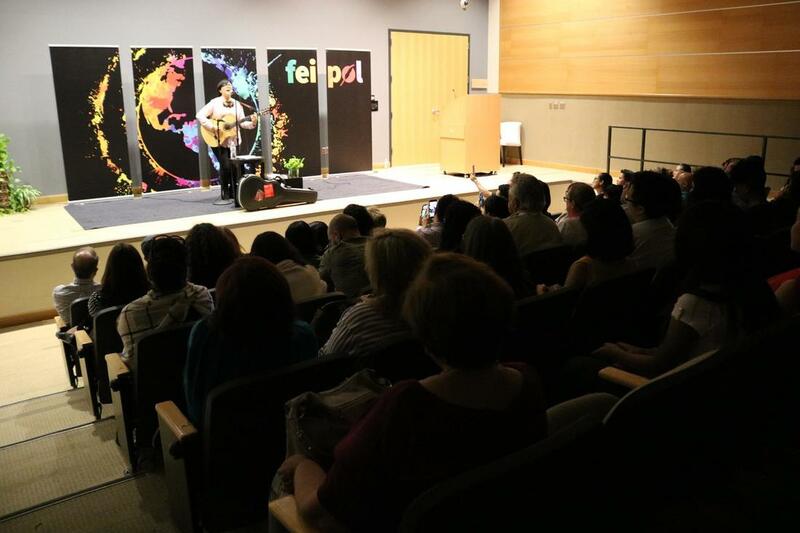 This was followed by a grand acoustic performance by singer and songwriter Renee Goust who tackled various social issues with her lyrics, including misogyny, with her popular song 'La Cumbia Feminazi' as well as other personal and social topics. 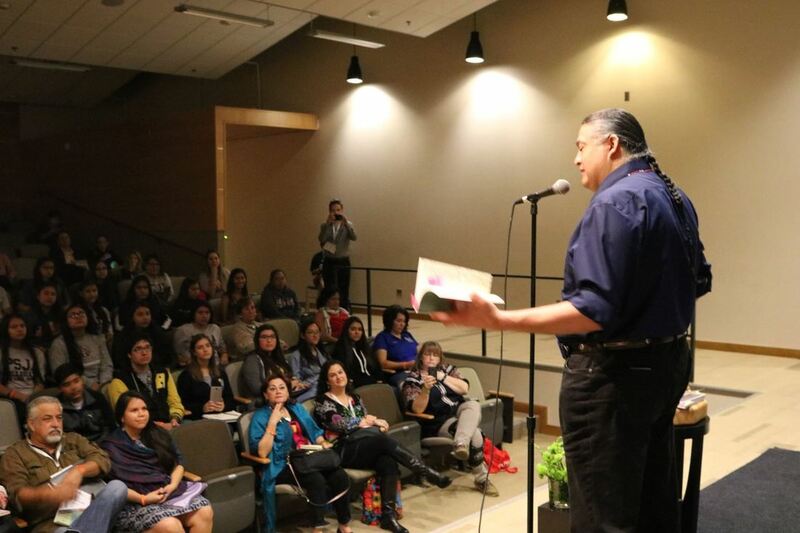 The last event of the day included poetry by 14 high school students. 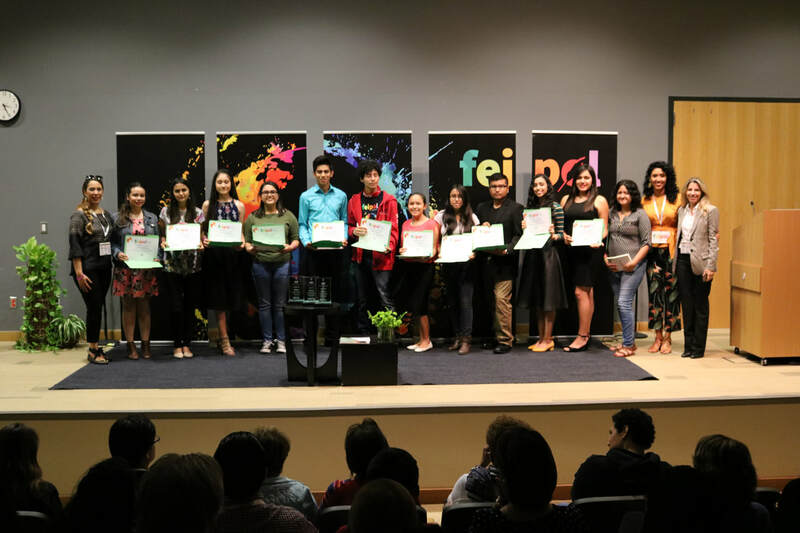 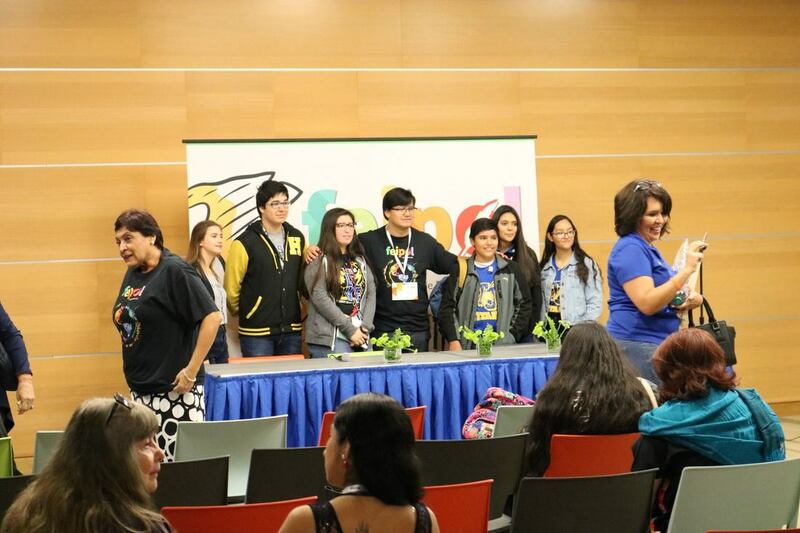 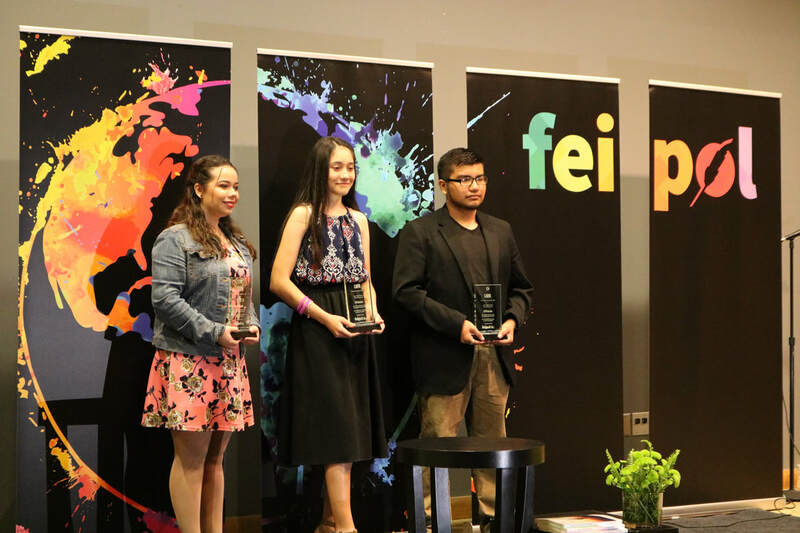 The of the students were slected and awarded the Juan Felipe Herrera Youth Poetry Award for their work. 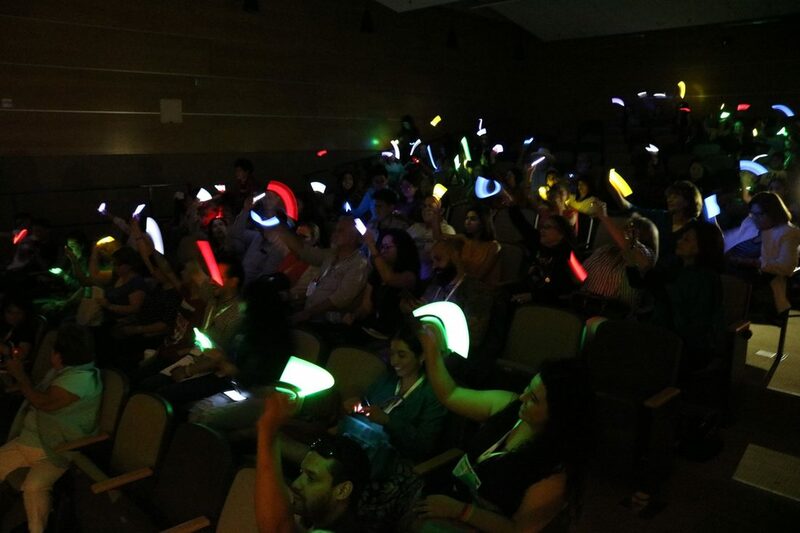 Afterwards, the audience celebrated with music and glowsticks. 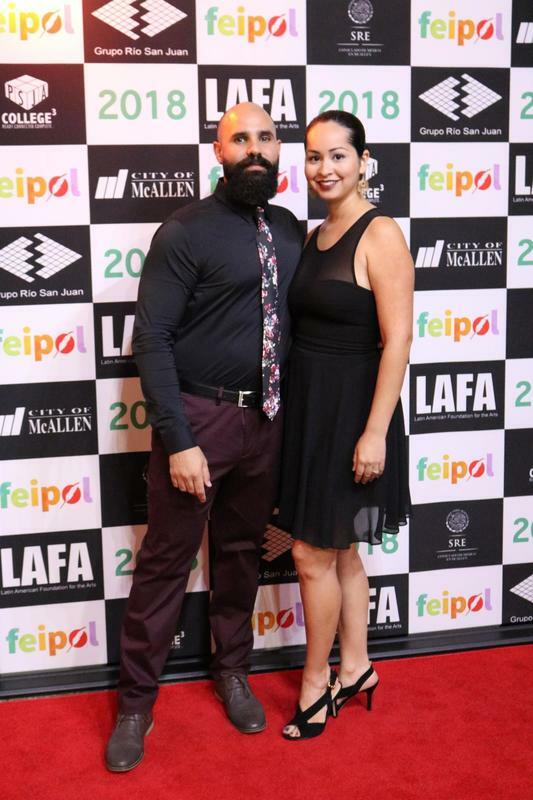 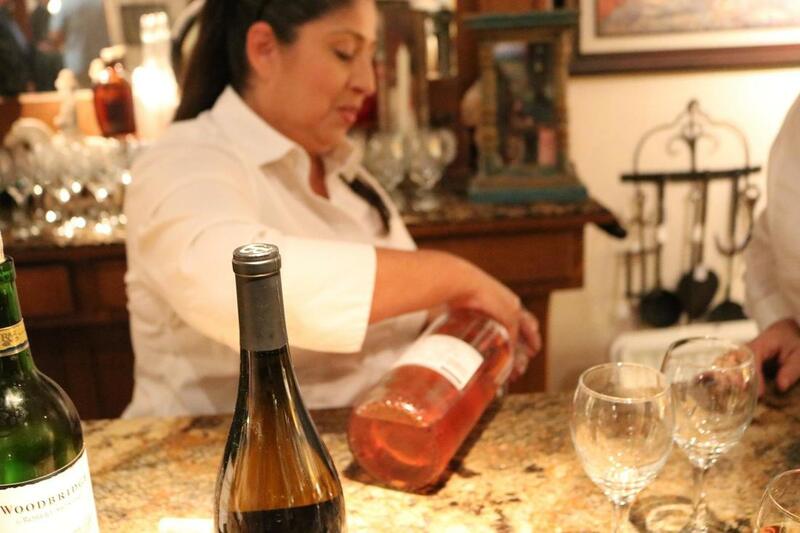 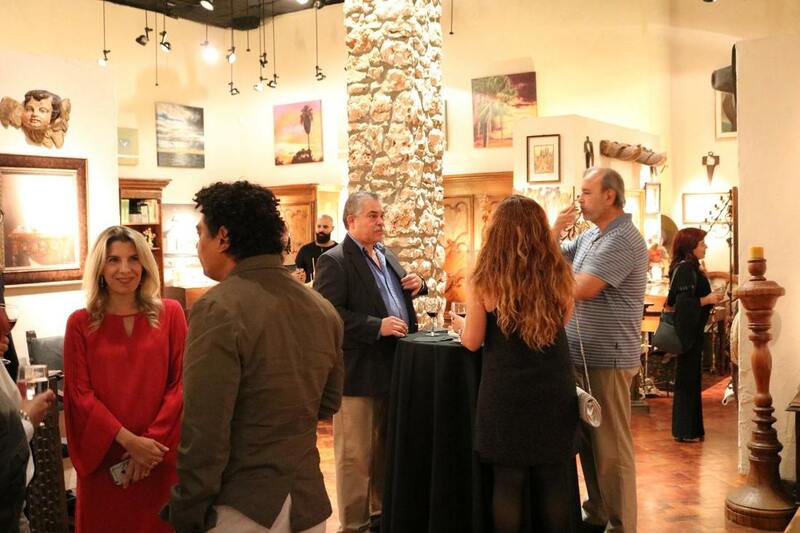 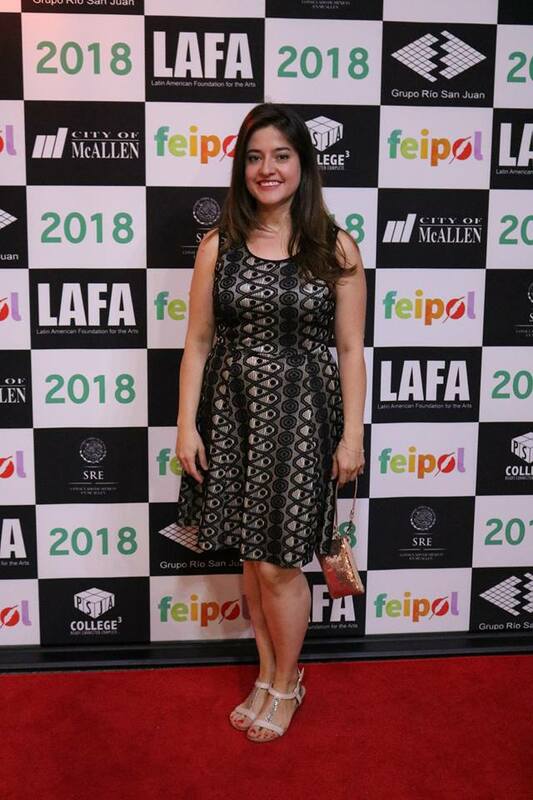 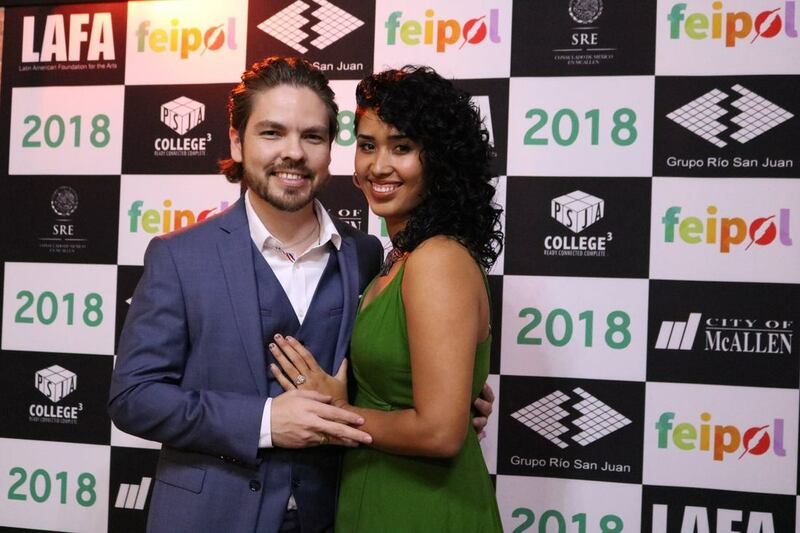 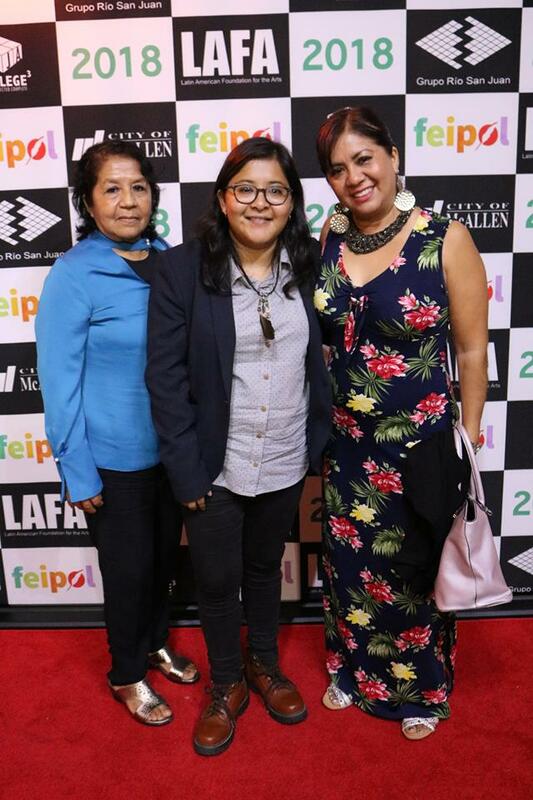 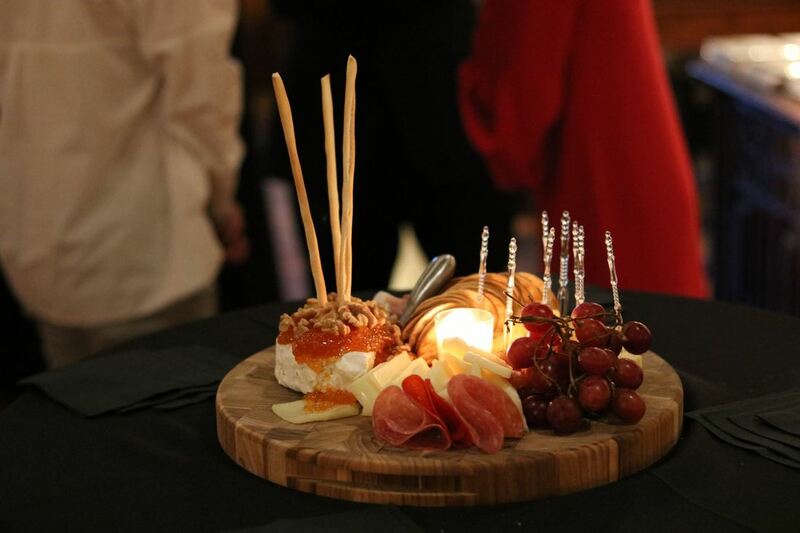 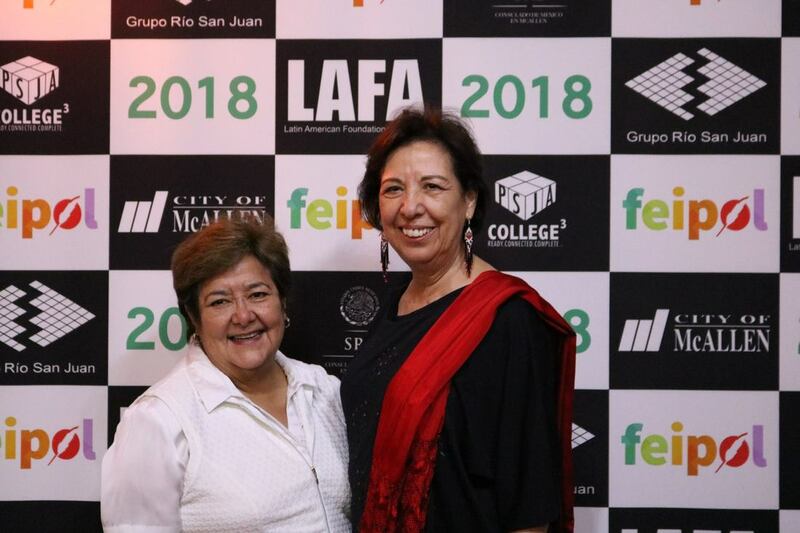 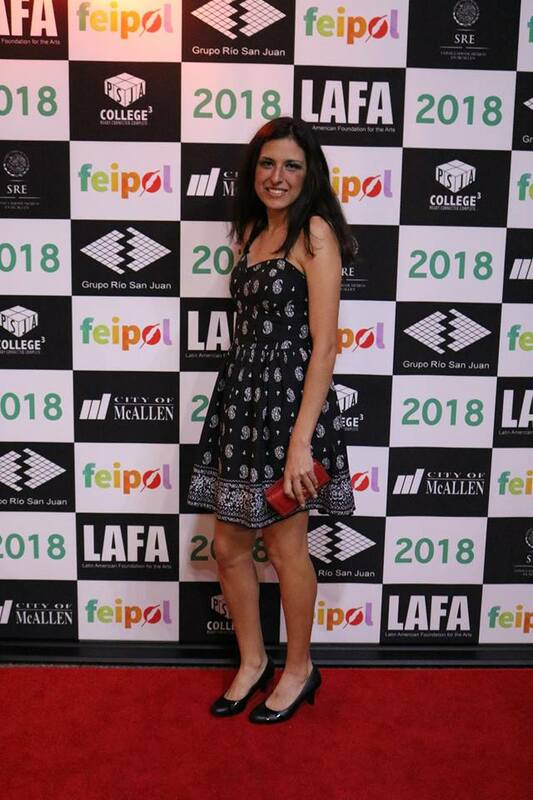 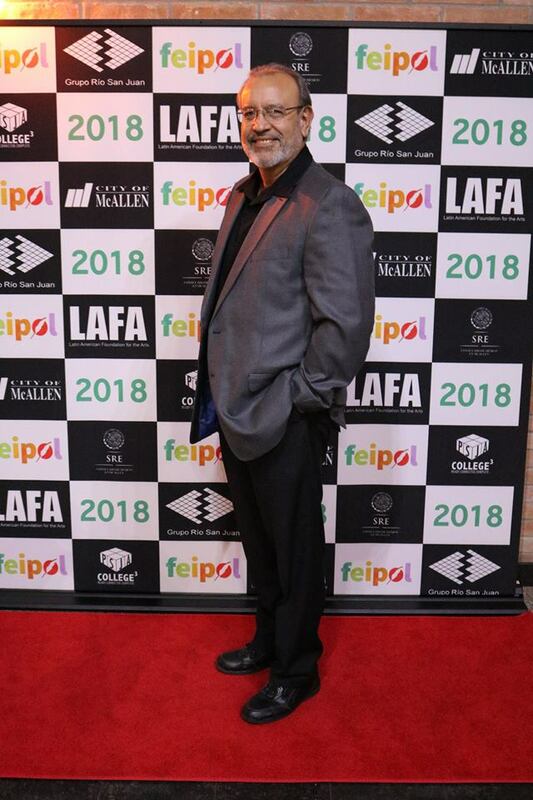 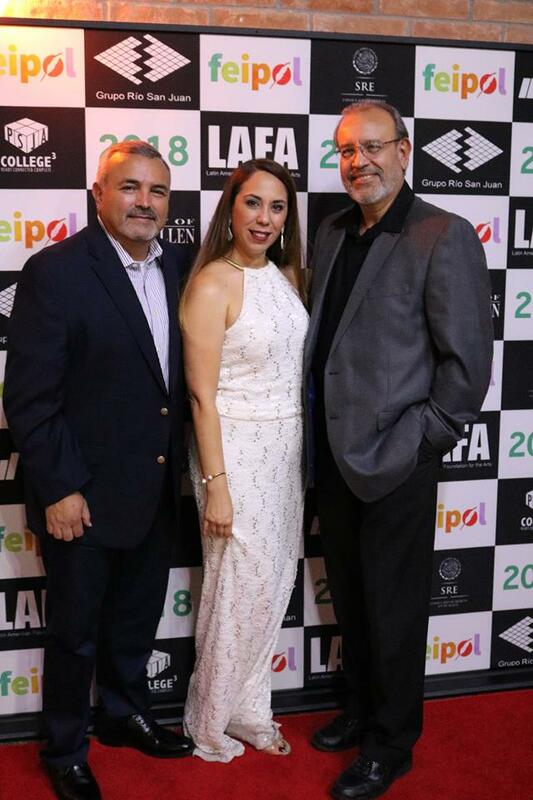 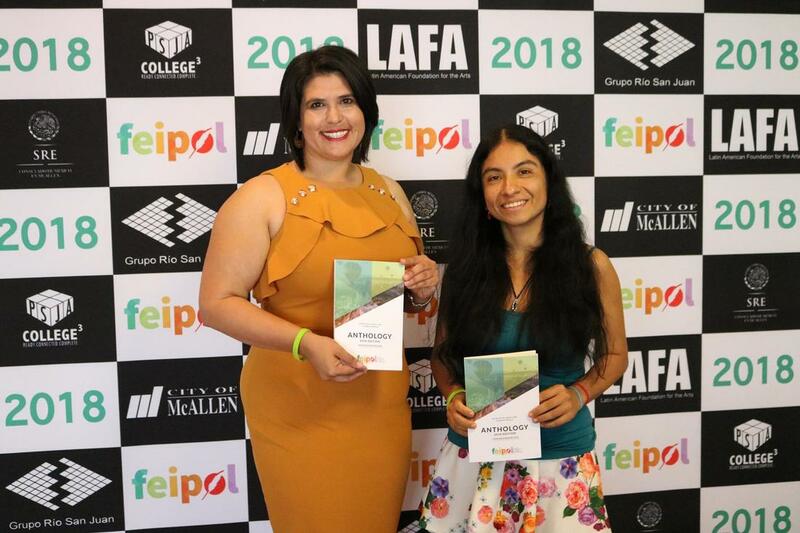 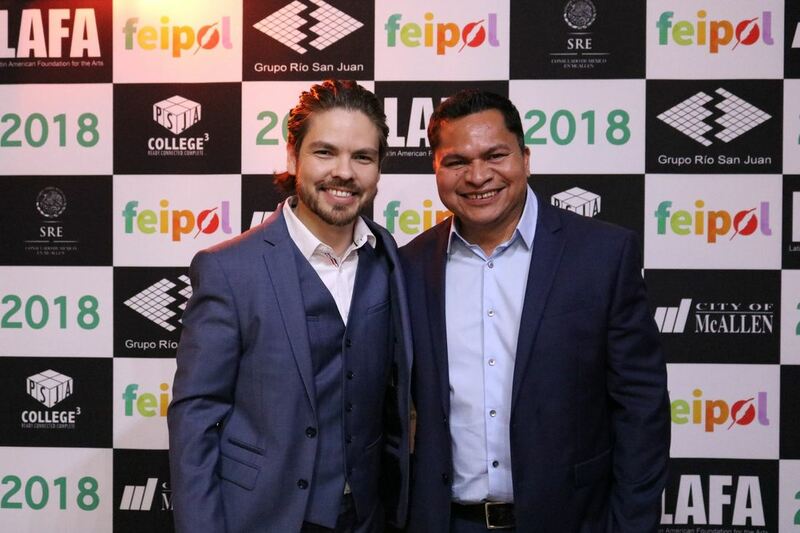 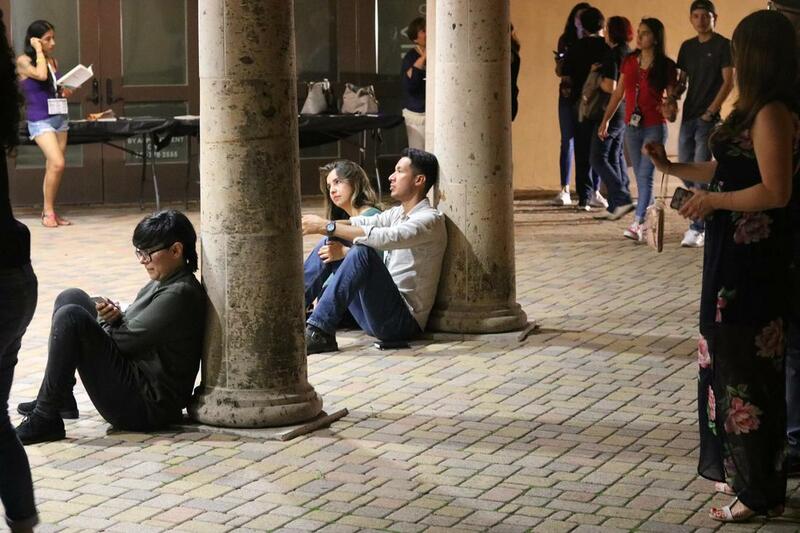 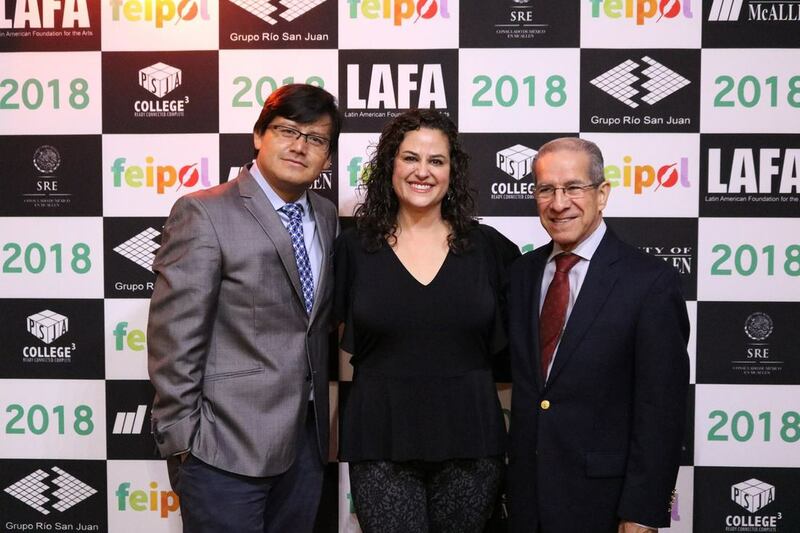 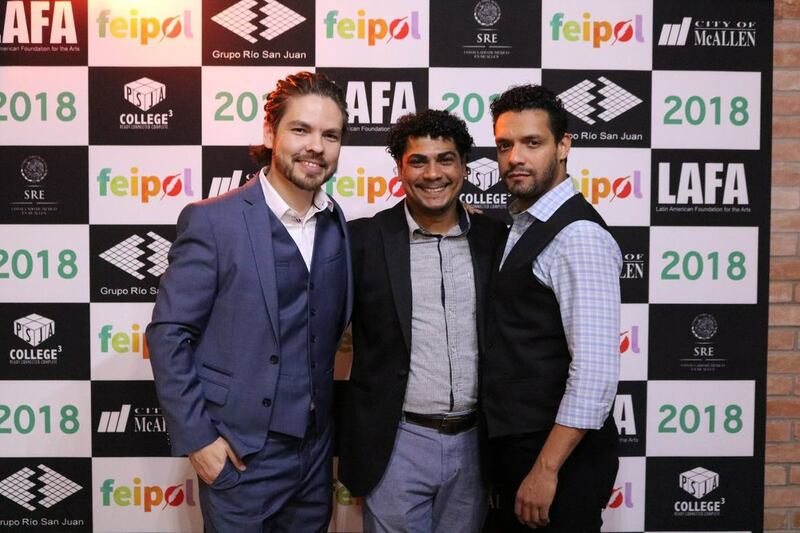 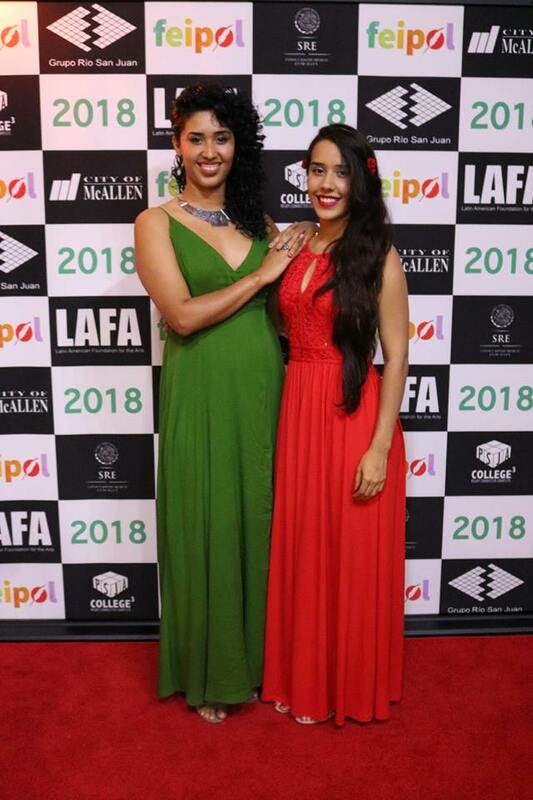 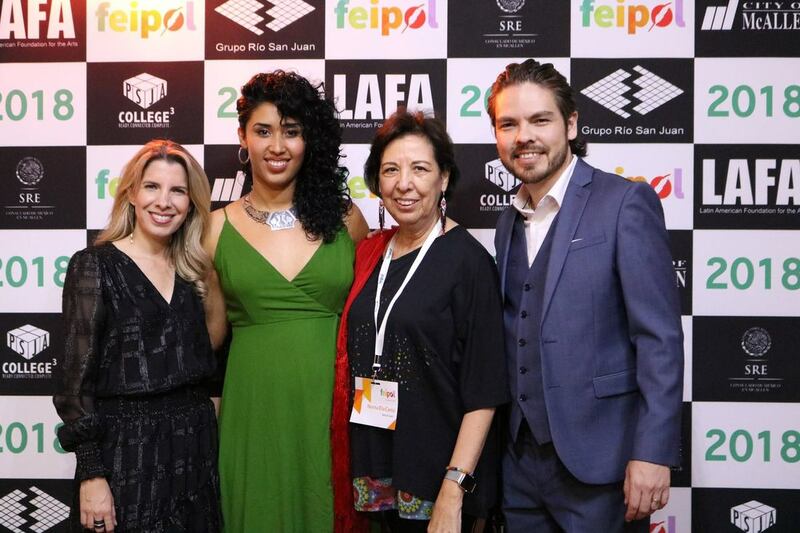 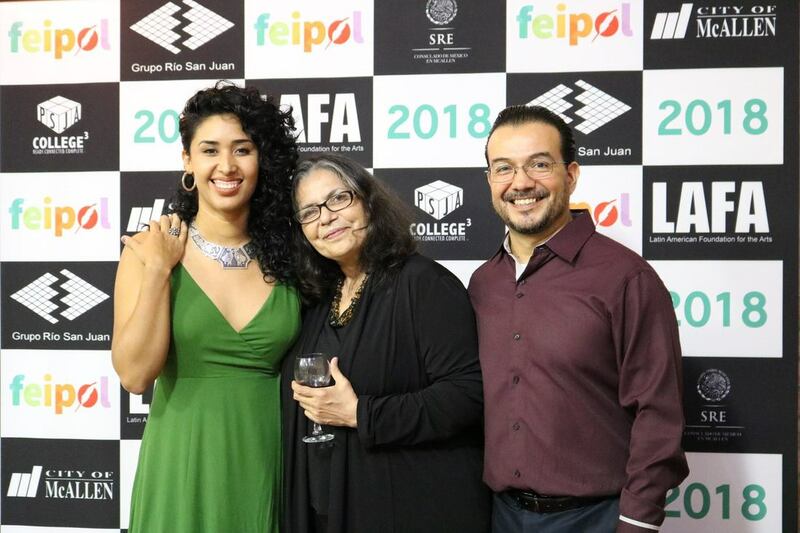 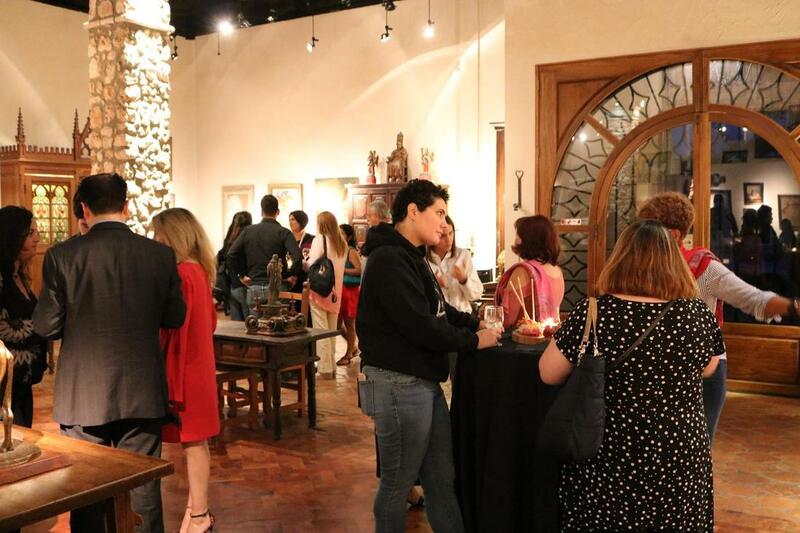 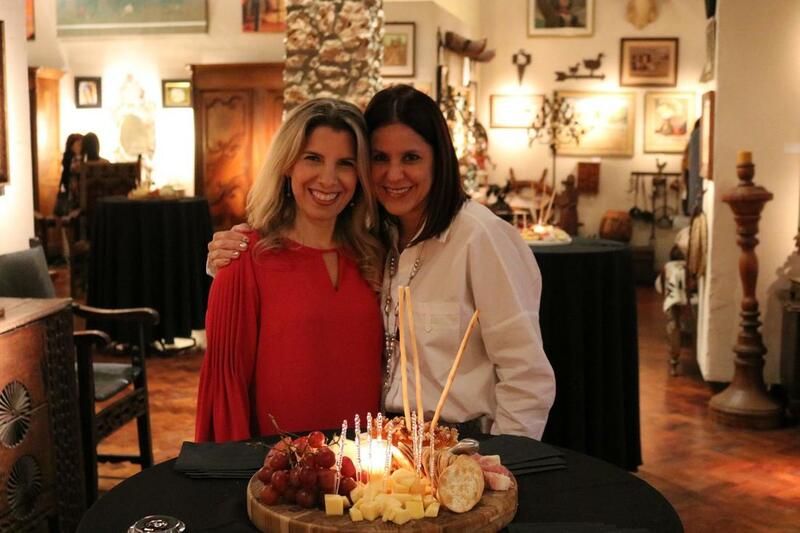 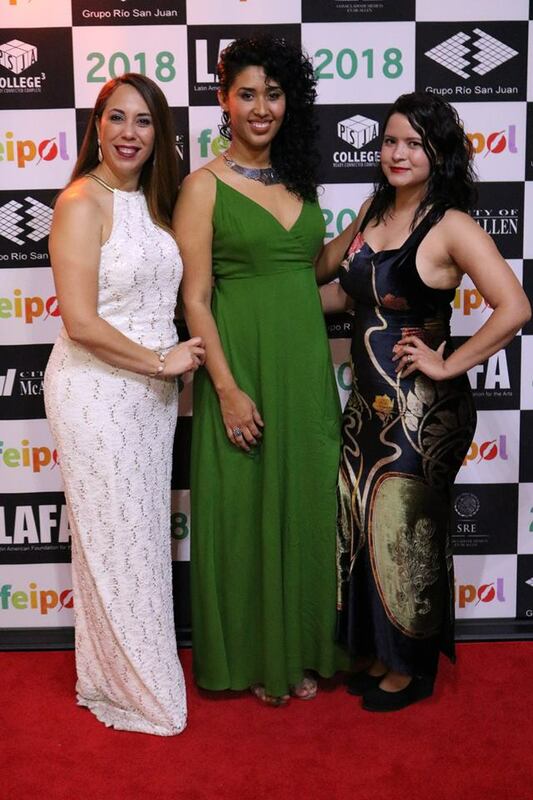 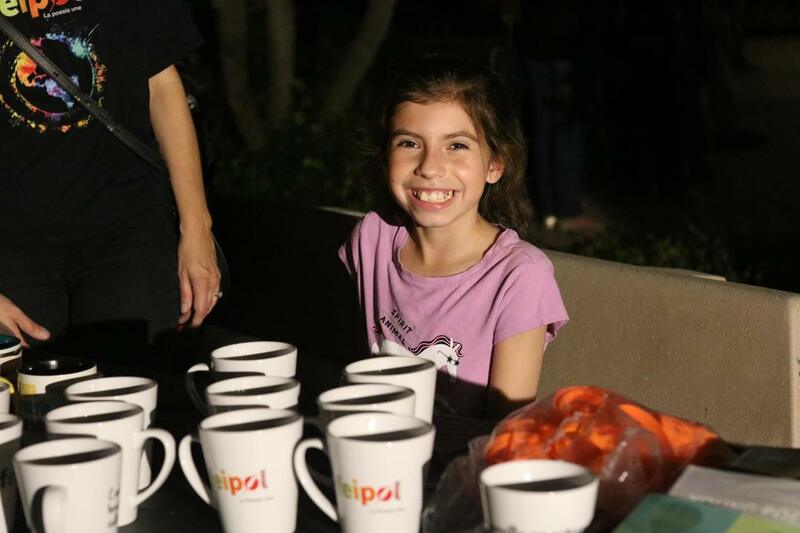 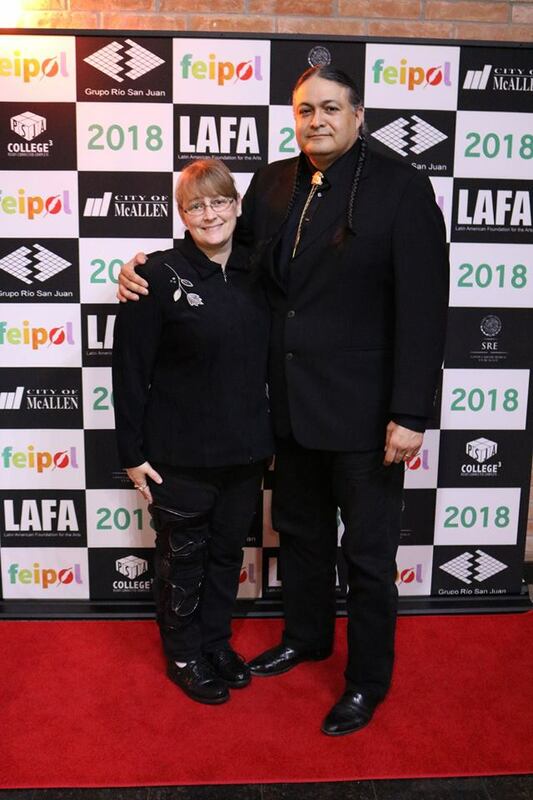 The Festival Internacional de Poesia Latinoamericana (FEIPOL) concluded on October 6th with an elegant gala at the McAllen Art Village filled with smiles, love, laughter, jazz, food, and of course, plenty of wine.